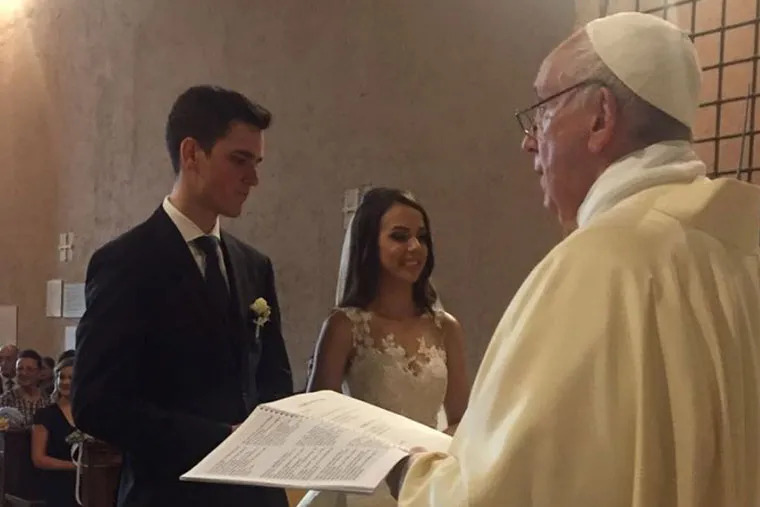 Vatican City, Jul 16, 2018 / 04:22 pm (CNA).- Pope Francis surprised wedding guests Saturday when he unexpectedly celebrated a marriage being held at a small chapel in the Vatican Gardens. The wedding – between Luca Schafer, a member of the Swiss Guard, and Letícia Vera, a former employee of the Vatican Museums – took place in the Church of St. Stephen of the Abyssinians, just outside St. Peter’s Basilica in Vatican City. Vatican City, Jun 26, 2018 / 07:11 am (CNA/EWTN News).- The Vatican announced Tuesday Pope Francis’ appointment of Bishop Michael Gerard Duca, of the northern Louisiana diocese of Shreveport, to be the newest bishop of Baton Rouge. Duca, 66, who led the Shreveport diocese since 2008, will take over in Baton Rouge from Bishop Robert William Muench, whose resignation the pope accepted June 26 after Muench turned 75 in December. 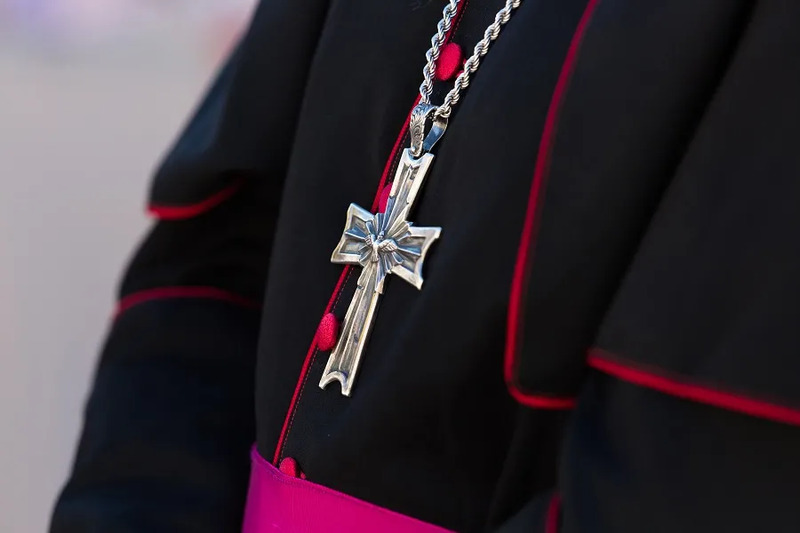 Bishop Duca, as his replacement, will be welcomed “with open hearts and open arms,” Muench continued, noting the Louisiana bishop’s training in the areas of theology, spirituality, canon law, psychology, seminary ministry, health care, ecumenism and administration. “By nature, person, character, disposition, education and experience, Bishop Duca is eminently qualified for this position as one who radiates the love and joy of Jesus Christ,” he said, also extending his personal support. Duca’s installation as the sixth bishop of Baton Rouge will take place Aug. 24 at St. Joseph Cathedral. Born June 5, 1952 in Dallas, Texas, Duca studied at the city’s Holy Trinity Seminary before being ordained a priest for the diocese April 29, 1978. From 1994-1996 he studied for a license in canon law at the Pontifical University of St. Thomas Aquinas, also called the “Angelicum,” in Rome. In addition to his ministry at various Dallas-area parishes, Duca has served as the diocese’s vocations director, the director of ongoing formation of priests, and as a campus minister at Southern Methodist University. He has also been a member of the diocese’s personnel board, priests’ council, and College of Consultors. In 2004 he was given the title of monsignor by Pope John Paul II. Duca was rector of Holy Trinity Seminary in Dallas from 1996 until his appointment as bishop of Shreveport in 2008. For two years he served as president of the National Association of College Seminaries. The bishop is currently a member of the United States and Louisiana bishops’ conferences and was formerly president of the Louisiana Interchurch Conference. He is a fourth degree Knight of Columbus and a member of the Equestrian Order of the Holy Sepulchre of Jerusalem. Vatican City, Jan 25, 2018 / 12:08 pm (CNA/EWTN News).- Cardinal Kevin Farrell is in charge of the World Meeting of Families being held in August, and he has said he hopes the event will revitalize family life, both in Ireland and around the world. 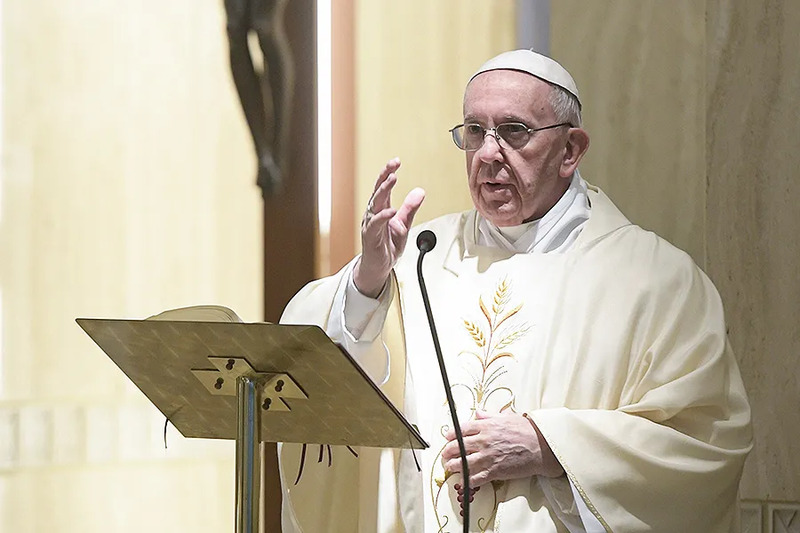 In his homily during Mass May 21, Pope Francis said “the Church is feminine, because it is ‘church’ and ‘bride,’” both of which are grammatically feminine in the Italian language. Pope Francis spoke during his Mass said in the chapel of the Vatican’s Saint Martha guesthouse, marking the first liturgical celebration of the feast of Mary, Mother of the Church, which he established in March. According to the March 3 decree implementing the feast, it was established in order to help encourage growth in “the maternal sense of the Church” and in “genuine Marian piety.” It is celebrated on the Monday after Pentecost. The title “Mother of the Church,” was given to the Blessed Mother by Bl. Paul VI. Mary’s motherhood is emphasized throughout the Gospels, from the Annunciation to the foot of the cross, he said, explaining that the fathers of the Church realized this attention to motherhood is not just applied to Mary, but can be applied to the entire Church. Francis said the primary distinctive quality of a woman is tenderness, which can be seen in Mary’s act of wrapping her newborn son “in swaddling clothing” and laying him in the manger in Bethlehem.